Technologies in the experiential age! 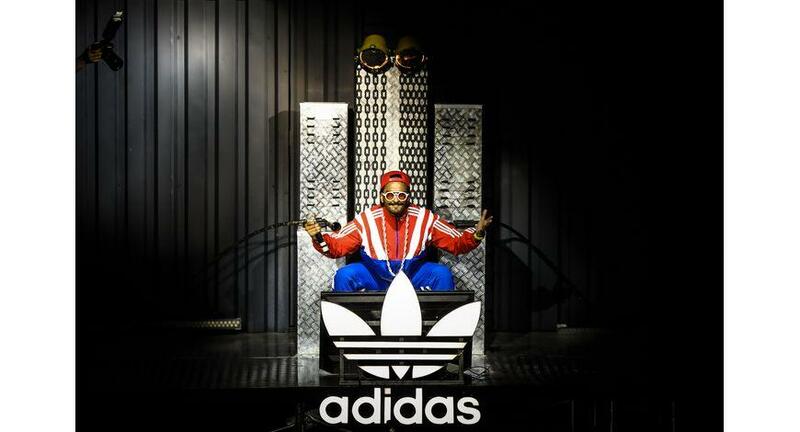 adidas Originals, the pioneering sportswear brand for the streets, celebrated Originality & Night-Time Creativity, with India brand ambassador & country’s biggest street style icon – Ranveer Singh, at Famous Studio which was converted into a never seen before industrial garage set-up. The celebration marked the launch of the brand’s biggest sneaker drop for Spring Summer 2019 – the NITE JOGGER. An essential for any night time creator, the reflective Nite Jogger is a progressive design incorporating classic archival cues with modern lines. Taking inspiration from the brand’s first foray into hi-vis technology, Nite Jogger’s contemporary design delivers an advanced interpretation of a past style retooled and restyled for today’s night time creator. The NITE JOGGER launch took ‘Originality’ a notch higher as the brand identified 11 ‘Nite creators’ across various fields who spoke about how #ItsNeverTooLate to pursue their creative vision. These Nite Creators were captured by photographers Mohit Varu, Izaan Khan & Lekharatnam in their ‘Nite Joggers’ while escaping the rules, structure, and rigidity of the day and reclaiming their creativity at night. Keeping with after-dark reflective personality of the Nite Jogger, the iconic ‘NITE’ factory was led by the Factory Boss Ranveer Singh who wooed the crowd with an enthusiastic performance as he cheered for the Trefoil! He then went on to interact with an innovative ‘Nite Bot’ – robotic setup as he unveiled the ‘Nite Jogger’ shoes in front of a full-house of more than 900 guests! ·Nite Bot – an innovative robotic setup that interacted with the guests, grooved to the music and engaged in a dance off with Ranveer Singh! The event came to a new fashion high as Ranveer Singh’s Nite Army, featuring 11 creators- Akansha Ranjan(Actor),Chandni Srivastava(Actor & Choreographer), Allen Claudius(Fashion Consultant & Sneaker head),Errikos Andreou(Ace International Photographer),Pavan Rao(Free Style Dancer & Model), Rod Anker(Hair Style Artist),Sam Madhu(Graphic Artist),Shivani Boruah(Sneaker Head & Street style Aficionado), Mrunal Thakur(Actress) and Merrylin Boro(Model & Entrepreneur) showcased a tailored tech capsule collection by creative director Abhishek Paatni which was inspired by the hi-vis technology of the adidas Originals Nite Jogger. The exciting celebration was filled with music, fashion, innovation and everything street-style; redefining today’s ultimate street wear culture. Crowd favourite underground hip-hop artists & musicians like DJ Kan-I, DJ Proof, DJ Sa, Rajakumari & Sez on The Beat set the stage ablaze with their performances as they brought to life street style hip hop culture through their music. A special rap performance by Ranveer Singh set the adrenaline levels of the crowd soaring as they sung along with him to popular tracks from ‘Gully Boy’! The gala was attended by like-minded creators who know #ItsNeverTooLate to pursue their creativity including celebrities, brand friends and many more influencers from the fashion, music and entertainment industries.